(The Financial) – In the current marketing year, Kazakhstan will export 6.5-6.6 mln tonnes of grains, declared Asylzhan Mamytbekov, Minister of Agriculture of the Republic of Kazakhstan, on May 5, according to APK-Inform. 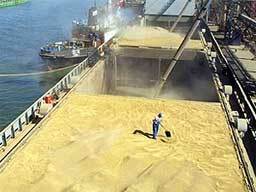 According to him, the average monthly export volumes total 500,000 tonnes of grains, including flour cargoes. As a reminder, in 2014 the general grain harvest in the country totaled 17 mln tonnes, a decrease of 6.6% compared with the harvest volumes in 2013. Kazakhstan is a major producer and exporter of high quality wheat, which dominates the output of its large-scale commercial farms. However, production is highly variable. It’s also a major processor, with a milling industry that has been the top ranked wheat flour exporter in the world in recent years.